This is a unicorn of a gem. This incredible gem is a 12.62 carat unheated blue sapphire found in Sri Lanka. Its unheated and extremely scarce. The color it has is the color it had when it was found in the ground. The clarity and transparency are superb. It is AGL certified and measures 14.55x9.90x9.11MM with no treatment. This vibrant precious gem is surrounded by 40 round brilliant cut diamonds that are also set on the top of the fancy bail totaling 1.50 carats. 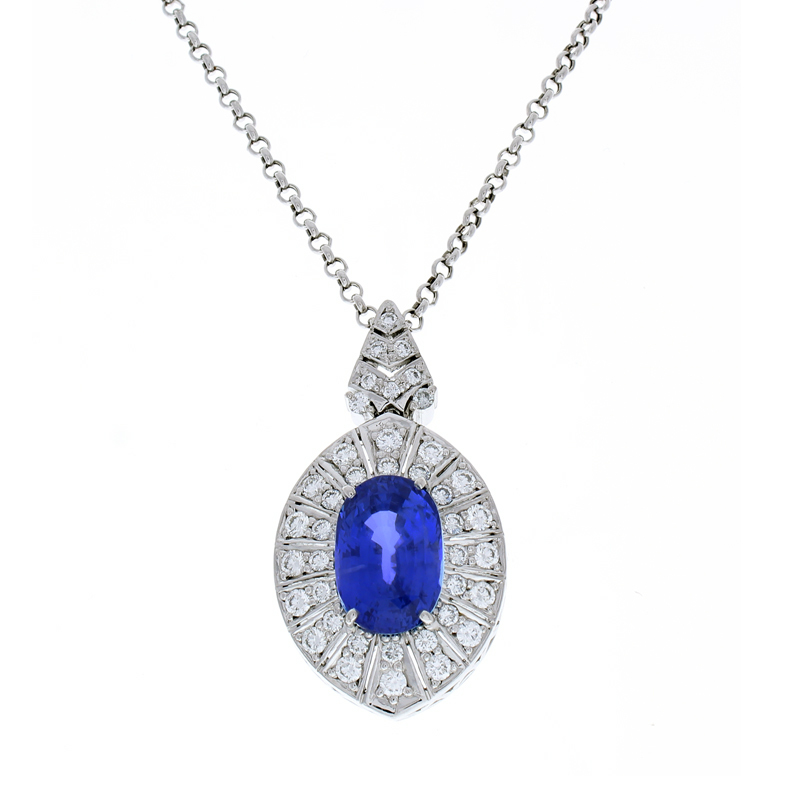 Designed in high shine enduring platinum, this gorgeous pendant is luxurious, rare, and collector worthy.